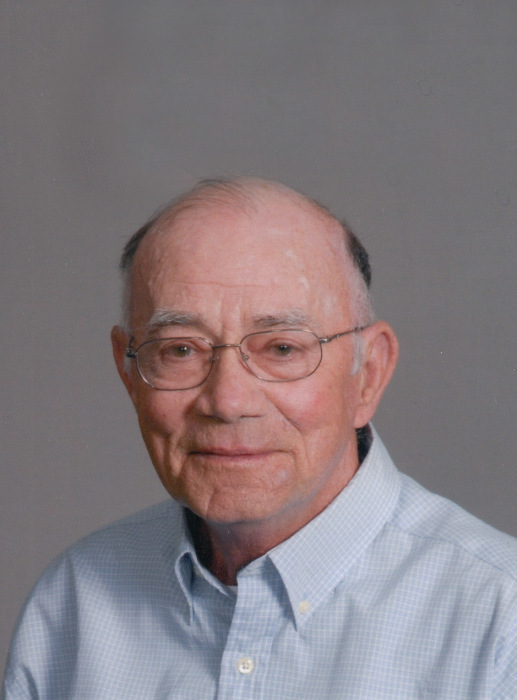 NEW CREEK, WV – Forrest Allen Brown, 74, of New Creek, WV left his worldly home to be with His Lord and Savior, Jesus Christ, on April 12, 2018 at Potomac Valley Hospital, Keyser, WV. Mr. Brown was born October 2, 1943 in Laurel Dale, WV and was a son of the late Russell Vernon and Anna Lee (Huylman) Brown. In addition to his parents, he was preceded in death by one brother, Russell V. Brown, Jr. and one sister Barbara Ellen (Brown) Coakley. Mr. Brown worked for Virginia Electric and Power Company from 1966 until his retirement in 1989. He was a member of Fountain Gospel Chapel in Keyser, WV and a former member of Cabins Assembly of God in Cabins, WV. Mr. Brown enjoyed gardening, hunting, riding his mule, and spending time with his family. All the animals of nature were touched by his love and care for them as well. No one smiled as greatly as he did when his grandchildren and great-grandchildren were present. He was often called upon by medical facilities to encourage new patients with renal failure. He never met a stranger and invited each person he encountered to church. He had a love of music and enjoyed singing. Even in pain, he would sing praises unto God from his hospital bed. It wasn’t discovered until recently that he was a talented poet. In addition to his singing and poetry talents, he was very skilled in, mechanics, plumbing, and welding – a true “Jack of all trades.” He was an excellent Marksman and received numerous trophies. Mr. Brown leaves behind his wife and best friend, Sandra Lee (Evans) Brown whom he married on December 1st, 1962. In addition to his wife, Mr. Brown is survived by his five children, Allen Lee (Sharee) Brown of Scherr, Teresa Denise Carr, Laurel Dale and special friend Larry Dolly of Knobley, Forrest Kevin (Kimberly) Brown of Laurel Dale, Rodney Scott (Charlotte) Brown of New Creek and Pamela Lynn (Michael) Goldizen of New Creek and a sister, Judith C. (Joe) Watts of New Creek. Also surviving are fifteen grandchildren, Tina (Adam) Waldron, Eric (April) Brown, Jason (Emily) Brown, Kiesha (Brandon) Sullivan, Casey (Courtney) Carr, Brian (Ashley) Carr, Tosha (Patrick) Smith, Cody Brown, Kaitlin (Tyler) Phares, Laura (Tyler) Brown, Jonathan Brown (Savannah), Allison Brown (Lee), Cecily (Kyle) Cosner, Samantha (Christopher) Ashby, and Jessica (David) Trenton; as well as 18 great-grandchildren and one unborn great-grandson expected in May. Friends will be received at the Markwood Funeral Home on Saturday, April 14, 2018 from 2-4 and 6-9 pm. A Celebration of Life will be held at the Funeral home Sunday, April 15, 2018 at 2pm with Reverend Michael Goldizen, Reverend Vivan Watts and Reverend Ted Hartman officiating. Interment will follow the Celebration of Life at Potomac Memorial Gardens. Pallbearers will be grandsons, Eric Brown, Jason Brown, Casey Carr, Brian Carr, Cody Brown and Jonathan Brown.